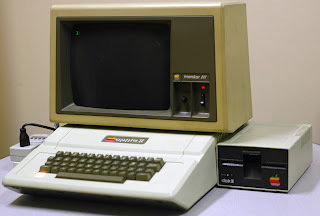 I still remember the time in 1st grade when my father brought our Apple II Plus into the classroom in an effort to show my classmates the wonders of Turtle Graphics. 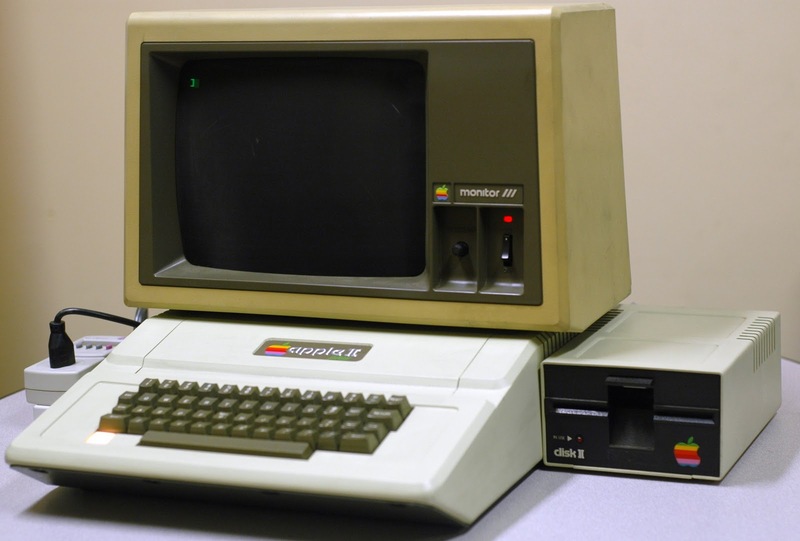 It was 1982 and each little 1st grader waited in line to get a chance to touch the odd looking keyboard and try to make the little turtle move. My father beamed with pride as he watched each child get their three-minute opportunity to try to program the blinking green turtle cursor to move across the black screen. That day was the only day that entire school year that we students would touch a computer at Hillel Day School in Metropolitan Detroit. Today, thirty years later my own children attend Hillel and the Head of School, Steve Freedman, has just announced a new technology plan he hopes to implement for the 550-student Jewish day school, which will include a 1:1 technology program. Today’s students have more technology in their pockets than entire school districts once owned. 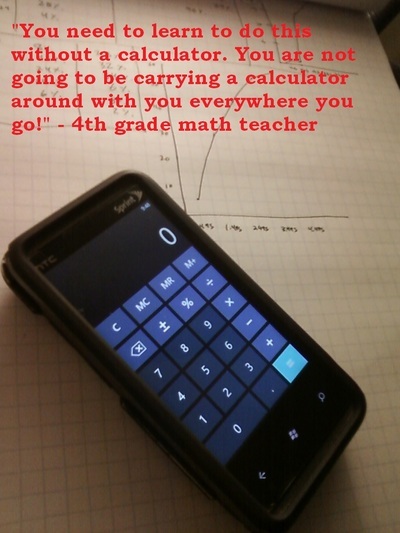 In fact, a few generations ago, one would never have imagined the possibility of students bringing battery-powered graphing calculators into math class. Today, the Texas Instruments graphing calculators are still being used by students, but they are the least technologically impressive gadgets in the students’ arsenal. The thinking goes that the more techy the classroom, the better the students will perform. This is not always the case. In a NY Times article this past September, Matt Richel wrote about a school district in Texas that spent millions on new technology including SMART Boards and laptops for every student, but its students test scores had stagnated. "This conundrum calls into question one of the most significant contemporary educational movements. Advocates for giving schools a major technological upgrade -- which include powerful educators, Silicon Valley titans and White House appointees -- say digital devices let students learn at their own pace, teach skills needed in a modern economy and hold the attention of a generation weaned on gadgets. Some backers of this idea say standardized tests, the most widely used measure of student performance, don’t capture the breadth of skills that computers can help develop. But they also concede that for now there is no better way to gauge the educational value of expensive technology investments." Whether test scores will be affected or not, Hillel’s Freedman is aiming to raise the tech bar at his school, which introduced SMART Boards into every classroom a few years ago. The SMART Boards are “a fantastic tool,” Freedman told me. “Its best integration is the active learning. I see the teacher explaining something and there is interactive instructional learning taking place. The kids can create something that really engages them with the teacher’s instruction.” He is cautious not to allow his day school to get caught up in any tech fads of the moment, however. Like other school administrators Freedman recognizes that the latest technology cannot replace hands-on-learning or the tactile experience of pencil on paper. A few miles away from Hillel Day School, the Frankel Jewish Academy (FJA) has provided each of its high school students with their own 16GB Apple iPad this year. The school-wide distribution of the iPad to each student is the result of both a generous gift from an angel donor and the advantageous timing in the school’s computer lease agreement with Apple. Patti Shayne, the school’s director of technology, believes the iPad project is in line with FJA’s reputation as a cutting-edge institution, especially in the area of technology. At Hillel one thing is certain about its technology future. Freedman has already announced that the school will be wireless by the end of this year. The questions that remain unanswered there center on the type of device that will be best for each student in a 1:1 technology program and whether the students should be allowed to bring their own device to school. Like in any enhanced technology program, whether for a school or a corporation, Freedman is trying to get the answers to these important questions before taking the plunge and purchasing expensive equipment that he knows will become outdated and slow in a matter of years. Do a Google search on the body of research that discusses the impact of technology in schools and you will find many arguments at both ends of the spectrum. The reason that there is a growing body of research is that technology has been in the classrooms for over two decades (yes, the 20th century!). As Hillel Day School carefully considers our next steps in adopting the latest technology in our school, a committee of educators has been discussing this with other schools and has made visits to other school as well. Recently, some of our staff visited a school in Cincinnati that has been engaged in 1:1 technology (one personal device per student) since 1996! We fully plan to benefit from the lessons other schools have already learned. Most likely Hillel will begin to implement its 1:1 technology program next year with the 7th and 8th graders. The school will ensure that the teachers are well trained in the technology before rolling it out to the students. Of course, the young students are already comfortable using the new technology and wireless gadgets because of their home use and because they don't know from anything else. This is the generation that has grown up with iPods, digital cameras and smartphones. Today's teachers were educated at a time when technology was a subject in the schools, but today the technology has become the tool in which learning is delivered. Technology in the schools is always going to be a game of catch-up because the technology is moving at a faster pace than any school committee and by the time the funding and teacher training is in place, the technology has already advanced. We owe it to our children, however, to at least try. Advanced technology in the schools doesn’t only affect students’ educational performance; it can also have an effect on hiring faculty. Studies have shown that teachers are choosing their employment based on the level of technology at the school. “If a teacher has two schools to choose from and one has the new technology and the other doesn’t, guess where that teacher is going,” said Gary Weidenhamer, a school district director of educational technology in Palm Beach, Florida. My view has always been that successful education takes place when all of the necessary ingredients are present. Technology is a wonderful enhancement that requires an additional ingredient that is most often ignored. Very few people have the aptitude for technology. I realize that teachers today have grown up with technology and thus are not afraid of it. But I do wonder if they can successfully integrate it into the classroom. Perhaps this is not an issue now that everyone is using technology. Time will tell and I will hope to be around to hear what you find on your important journey. Technology not withstanding, we still need quality educators, who are well paid to take care of our most precious resource, the next generation! Now a days in the all types of preschools and Jewish learning centers new technology are being used.